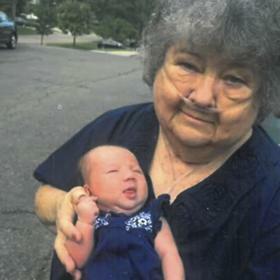 A longtime resident of the community she called home, Carolyn Taylor was a blessing in the lives of everyone she met. She always seemed to run into someone she knew, and a stranger was never a stranger for long. Carolyn was thrilled to witness her family tree blossom to include the children, grandchildren, and great-grandchildren she loved. She was generous in everything she did, and her devotion to those around her was unmatched. Life will never be the same without Carolyn here, but she leaves behind a timeless legacy that her loved ones will proudly carry on in her footsteps. Life during the 1930s was primarily defined by the hardship of the Great Depression. Jobs were hard to come by, which made the unemployment rate soar, and countless American families felt the strain. Despite the trials around them, James and Ruth (Hyde) Morrison were able to shift their focus to an exciting time in their own lives as they announced the birth of the baby girl they named Carolyn on December 17, 1938, in Kalamazoo, Michigan. 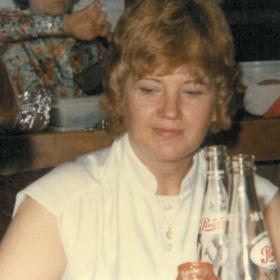 The oldest of four, she was joined in her family by her siblings, Judy, Larry, and Linda. Her parents were hard workers as her father drove a taxi and was in tool and die at Burrows while Carolyn’s mother worked at American tool. 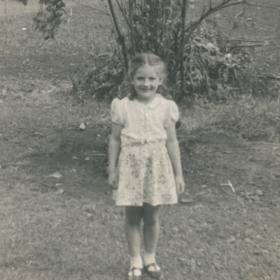 Carolyn had a large extended family as her father was one of 15 kids in his family. She attended local schools including Kalamazoo Central High School. In addition to holding down her studies, she worked as well. When she had free time, Carolyn could often be found roller skating. 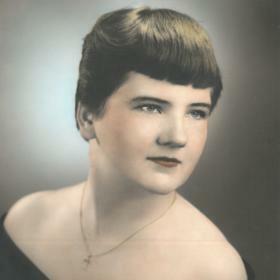 She went on to graduate from high school in 1956. New and exciting changes were in store for Carolyn when she met the man she would one day marry. His name was Norm Taylor, and they were neighbors who lived kiddie-corner from one another. After developing a relationship, Carolyn and Norm were married on September 7, 1957. They loved dancing, and together they were blessed with the births of four children, Sherri, Wendy, Daniel, and Penny. Carolyn also loved the holidays and wanted them to be just perfect, even during hard times when her children were young. She always went over and above with all the little things to make the season memorable. Carolyn was thrilled to become a grandmother and great-grandmother later in life, and there was nothing she loved more than being surrounded by the love of her family. She was always available for babysitting her grandchildren, and as they got older they loved having movie night at Carolyn’s house. Later in life, she enjoyed traveling with her family to the Smoky Mountains. Throughout her life Carolyn worked hard. Her first job was working as a telephone operator at Michigan Bell. From there, Carolyn worked in the dietary department, delivering trays at Borgess. Finally, she spent 25 years working at Upjohn. After retiring, she cleaned the Kalamazoo Missionary Church. Although she was a woman of many interests, it was all about the people for Carolyn. She was very social and was always running into someone she knew wherever she went. Carolyn had a knack for remembering names and dates, and she sent cards to everyone for nearly every occasion imaginable. Carolyn also picked up an “I love you gift” when she saw something she wanted to get for someone just because. A professing “shop-a-holic,” Carolyn loved QVC and had tons of clothes. She was an amazing bowler with a high average who even took part in bowling tournaments in Reno. Later in life she played bowling on the Wii. In addition, Carolyn enjoyed golfing and played softball with Upjohn. She was an avid Detroit Tigers fan and knew all the players. In fact, she was even able to go to a Tigers game and had her name on the board thanks to CentraCare last year. Carolyn got all kinds of gifts and also met some of the players on this outing. For years she went out to lunch with her kindergarten and lifelong friends, and Carolyn frequently crocheted and also played cards. 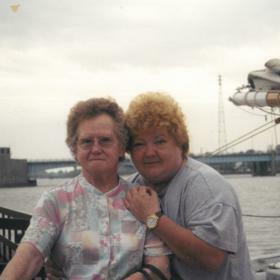 She had a special companion, Dave, and together they liked visiting casinos, visiting his home in South Haven, and just spending time together until his death. With a heart that was as big as they come, Carolyn Taylor was a gift in the lives of so many others. She had a huge heart and unending spirit of generosity toward all who were near. Carolyn was deeply devoted to her family, and her love for her children, grandchildren, and great-grandchildren was easy to see. Deeply loved, she will be forever missed.